Handsome boy. I'm sure you really enjoy him. You're come to the right place for people owned by budgies. A big parrot inside of a small package. You've come to a great place to learn even more about budgies! We're so glad you've decided to continue your budgie research and journey with us here We look forward to seeing you around the forums! Be sure to read through all of the forum's many articles and stickies that we have here! If you have any questions after reading through everything, be sure to ask as we'd love to help. You have come to a great place to learn more about budgies! Frankie is very handsome. 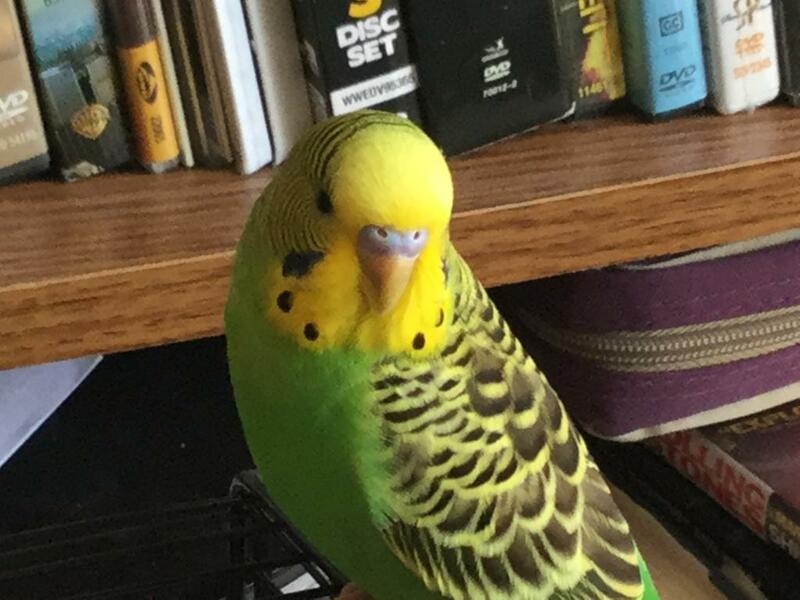 While I am not convinced, my mom is sure that my budgie owns me. I look forward to seeing more of you both around the forums. Good luck with your sweet companion/master. Your little Frankie is simply precious! Welcome! Frankie is absolutely adorable!